There has been bold support from government quarters for the emerging tech of the moment; statements of enthusiasm and promise have been met with a commitment to the legislative process necessary to make Malta a pioneer in blockchain and DLT, an effort that has recently come to fruition. The Malta Blockchain Summit looks to shine a light on this important new tech in Malta, and as with SiGMA before it, the opportunity to tap into such unexplored potential is irresistible – especially to CEO and founder, Eman Pulis, a man with an insatiable appetite for acquiring knowledge. A star-studded line-up of top speakers has come together for the first edition of the Malta Blockchain Summit. Lending a certain je ne sais quoi to proceedings is John McAfee. The famous British-American programmer and businessman will add substance to the developers and technology conference, as part of a panel on the dark side of the chain. McAfee is a world-renowned computer scientist, activist, business leader and cryptocurrency evangelist. McAfee’s career spans nearly the entire history of computing, with McAfee working for industry giants like Xerox, NASA, Univac and Lockheed Martin. In 1987 he founded McAfee Antivirus, and under his leadership the company executed a meteoric rise to the top of the computer security industry. A lifelong advocate of personal freedom, McAfee has been a vocal critic of privacy invasion and encryption backdoors. In 2016 McAfee ran for President of the United States on a platform of Freedom, Privacy and Technology. McAfee has also been ranked as one of the top 5 cryptocurrency personalities by the Bithemoth Exchange along with VitalikButerin, Roger Ver, Changpeng Zhao, and Satoshi Nakamoto. Also raising the bar is the addition of Scott Stornetta, widely considered to be one of the founding fathers of blockchain technology. In fact, one of the first mentions of blockchain architecture is attributed to a publication co-authored by Stornetta. This concept was later picked up and utilised by Satoshi Nakamoto when developing the Bitcoin blockchain infrastructure. Since then, the Stanford-educated Stornetta has assumed a prominent role as Chief Scientist for the Australian investment firm First Digital Capital, where he will be in charge of evaluating blockchain technology firms and ICOs. Stornetta has been vociferous in his support for the government of Malta’s recent efforts to position the island in the eye of the blockchain storm. The summit has also attracted interest from other industries that overlap with and compliment block tech. 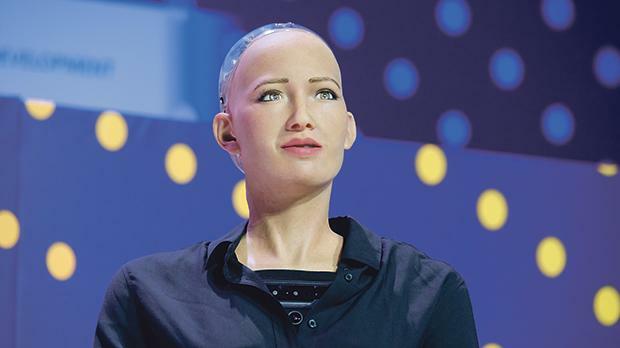 Representing advancement in the AI sphere is the latest in humanoid robotics from Hanson Robotics – Sophia. Sophia will join her creator for a fireside chat during the Marketing and Investment conference. Accolades include becoming the first ever robot to be granted citizenship anywhere in the world, as well as being named the world’s first United Nation Innovation Champion by the United Nations Development Program, where she will have a working role with UNDP to promote sustainable development and safeguard human rights and equality. The Malta Blockchain Summit will follow a winning formula. The event will follow in the footsteps of long-established sister event, SiGMA and if current feedback is anything to go by, it’s well on its way to becoming a fixture in the global blockchain event calendar. The summit brings with it four conferences and a massive, sold-out expo floor. Highlights include a Hackathon, an ICO Pitch, a Blockchain Awards ceremony and a Crypto Cruise. Boasting 5,000 delegates, hundreds of investors, 100 speakers and 300 sponsors and exhibitors, the Malta Blockchain Summit promises to be an innovative and momentous opportunity for global influencers to network, forge new connections and debate the potential applications of blockchain across a myriad of industries such as marketing, entertainment, government and banking. The Times of Malta is exclusive media partner for the Malta Blockchain Summit.